Prominent & Leading Manufacturer from Bhubaneswar, we offer rechargeable led bulb 12w, inverter led bulb 7w and ac dc led bulb 12w. 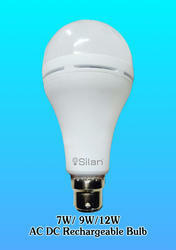 Silan Rechargeable Led bulb 12W with 4 Hours Back up. 12W Inverter Bulb with AC DC Operation. Silan Rechargeable Led bulb 7W with 3 Hours Back up. 7W Inverter Bulb with AC DC Operation. 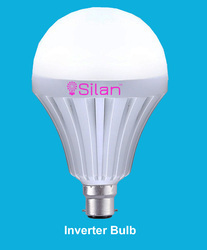 Silan Rechargeable Led bulb 12W with 3 Hours Back up.